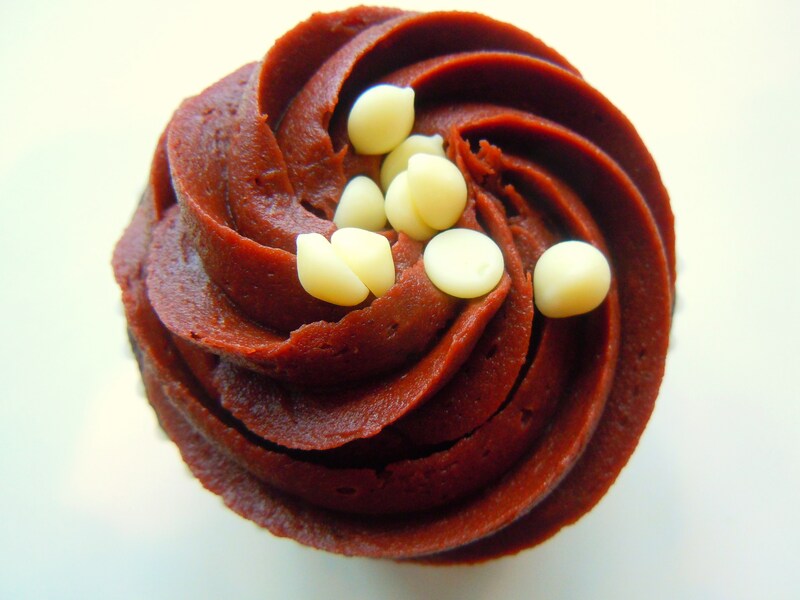 Blowing Kisses to my Fudgy Sweet Tooth – Toasted Walnut David’s Tea & the Triple Chocolate Fudge from The Cupcake Shoppe! For the last month I’ve been having the strangest craving. Not the stereotypical I’m-pregnant-and-all-I-want-are-pickles (or in my mum’s case when she was pregnant, bananas) type of craving, but the type of craving that feels so strange because it’s so common to everyone else BUT you. It’s true! Let it be known that I have always been a vanilla kind of girl. Vanilla ice cream, vanilla frosting, those yummy rectangular vanilla Peek Freans cookies with the cream in the middle, vanilla whatever! I’ve always enjoyed chocolate, sure (especially white chocolate but we all know white chocolate isn’t technically real chocolate. Blah blah) but when push came to shove, vanilla was my happy place. But lately? Oh my goodness I’ve been raiding the chocolate peppermint patties, chocolate caramel, and Godiva chocolates in the sweet tooth bin in my pantry at home almost every day! A nibble of dark chocolate here, a little truffle there. My house is hardly full of the stuff; far from it. But with Christmas and Valentine’s behind us, we’ve accumulated quite the decent stash and I’m shocked to find myself working my way through it! And nuts! Oh how things change with age. You couldn’t pay me in lip gloss to get me to eat the stuff when I was little. I wasn’t even really eating nuts 5 years ago. But here I am noshing on almonds, hazlenuts, walnuts and pecans by choice and popping Ferrero Rocher chocolates like breath mints. It’s a new era on Ate by Ate. It’s time for more chocolate! 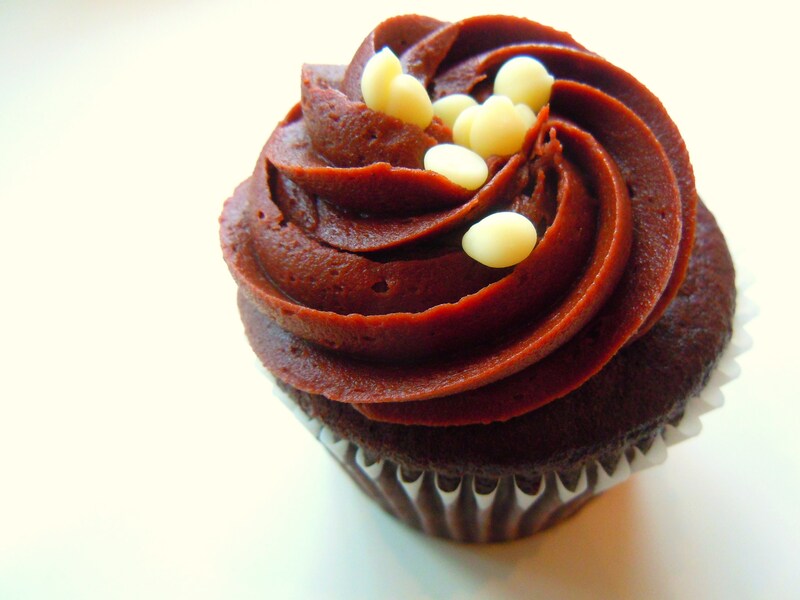 What we have here: the fudgy, decadent Triple Chocolate Fudge cupcake from The Cupcake Shoppe! 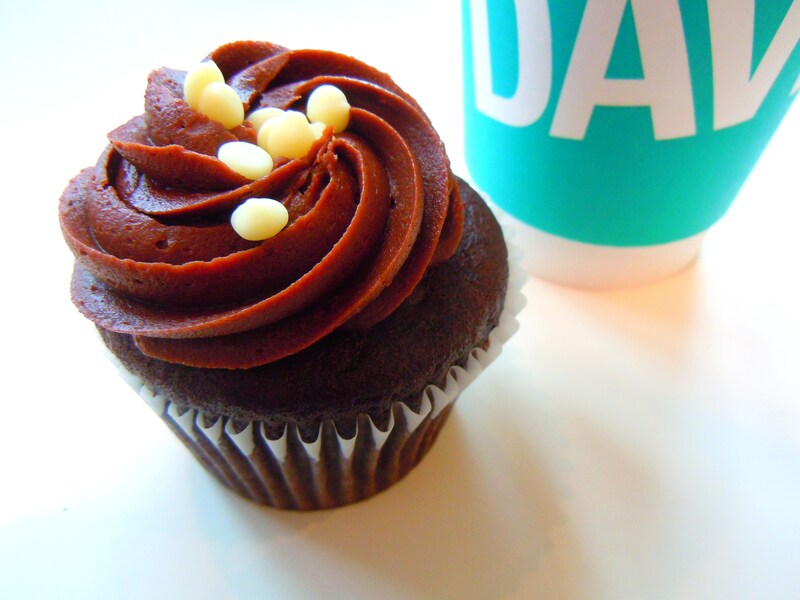 The cupcake ($2.85), with its chocolate cake, chocolate fudge frosting, and white chocolate chips, is one of the newer flavours the shop introduced when they expanded their line-up of flavours last summer and when they opened up their 2nd location in Vaughan. 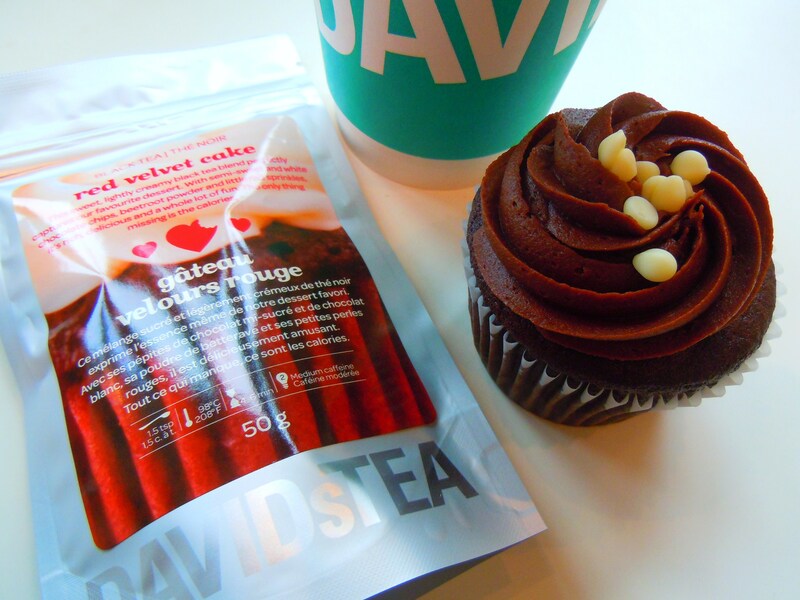 The cupcake is sitting comfortably beside a hot cup of Toasted Walnut tea from David’s Tea, by far one of their best teas EVER! The flavour is so warm and rich and perfectly concentrated with just a hint of caramel sweetness and to be honest, it took me by surprise. I certainly wasn’t expecting it to be bad, but I definitely wasn’t expecting it to be THIS delicious. I love tea immensely but some teas, in general, just don’t work for me because the flavour doesn’t come through strong enough. If I wanted to drink hot water, I would just drink hot water! 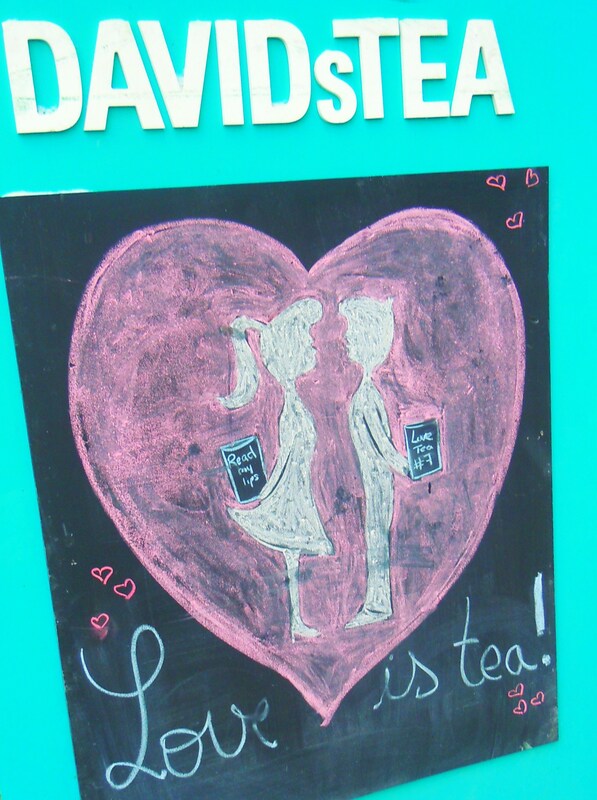 The Toasted Walnut at David’s Tea is fantastic though and it’s totally on my “get a tin of this” list! And as a bonus? A packet of David’s Tea’s special Red Velvet Cake tea ($6.75, 50g), their Tea of the Month this past February and another amazing showstopper! I’m telling you, this tea is even BETTER than an actual red velvet cupcake! For a twist, try it iced. I’ve tried it iced and I love it! Rest assured, this is not a limited edition tea so you can definitely get some loose leaf in a tin if they don’t have the cute packets on their counter anymore. Now if you’ll excuse me, I have a chocolate mint macaron waiting for me…. The Cupcake Shoppe is located in the Yonge and Eglinton neighbourhood at 2417 Yonge St., north of Eglinton on the east side of Yonge St. Their second location in Vaughan is located by Bathurst St. and Rutherford Road at 9340 Bathurst. Hurray for more cupcake options in York Region! They have a rotating menu of cupcake flavours each day and each cupcake is priced at $2.85. 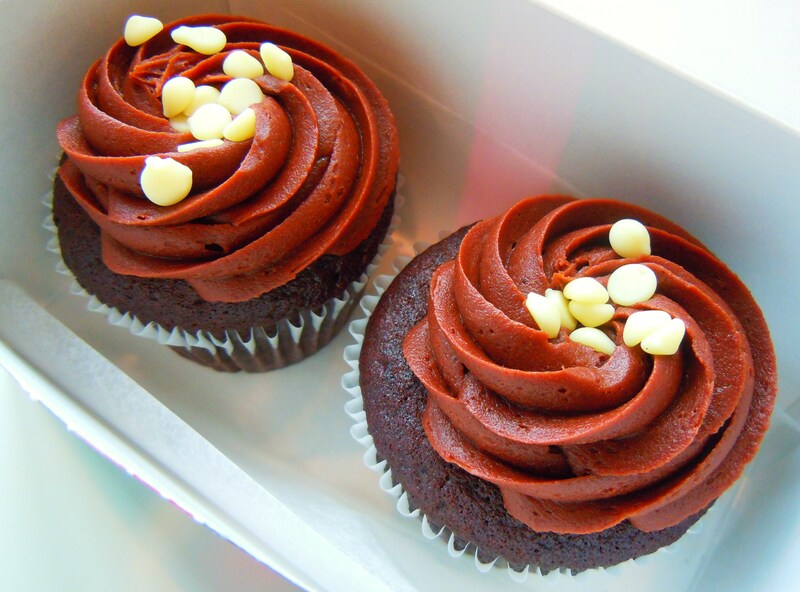 For more Cupcake Shoppe goodness on Ate by Ate, click HERE! 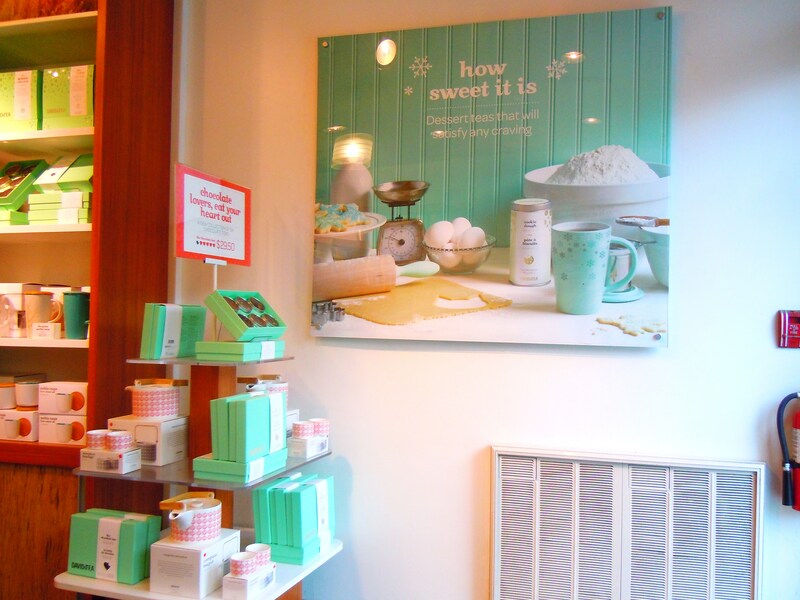 There are write-ups, scrapbook layouts, and tons of photos on The Cupcake Shoppe’s following flavours: Cookie Dough, Eh? (maple), Lemon Drop & Lov’n Lemon (the first one is one of the most amazing lemon cupcakes you will ever eat and the latter, not so much), Red Velvet, Naughty n’ Spice (fall seasonal), After Ate (mint chocolate), Pretty in Pink (raspberry cupcake with raspberry buttercream), and the delicious summer seasonal Lime n’ Licious.